I spent the last three years with my dad’s story and although the journey is still amazing I needed to find another hobby and take some time away from it. I have some ideas about all the information I have, maybe a smaller book. Who knows?? In the meantime I continue to have people who are connected with the 110th/35 Quartermaster contact me. I now consider myself the unofficial historian of my dad’s Division. I am not the kind of person who follows the crowd; I am the one who will stay behind just because everyone else IS. When I was growing up Grandma Susie and Mom crocheted. Then when my sister got older she did. Then my sister Sharon did and even “My sister the Clown,” does. 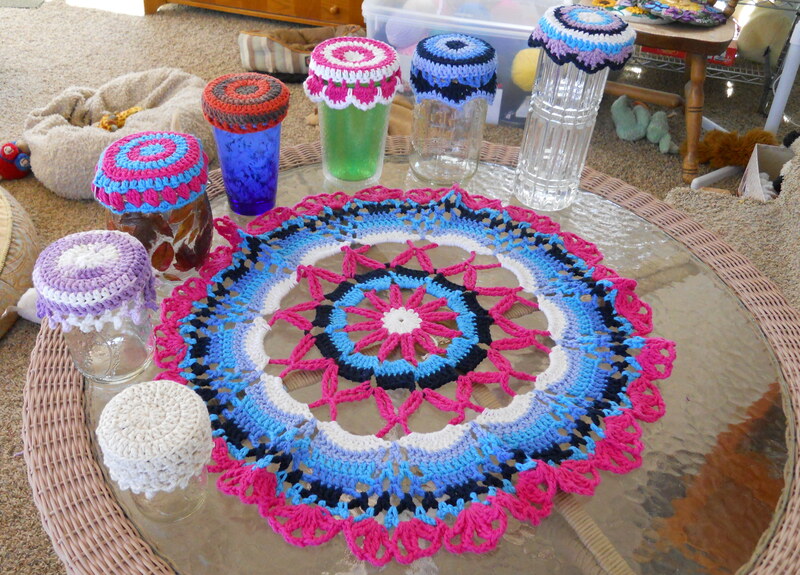 They made all kind of stuff throughout the years, doilies, Afghans, and at Christmas watch out. They made all kinds of little things like Santa’s, and ornaments, toilet paper and Kleenex covers. 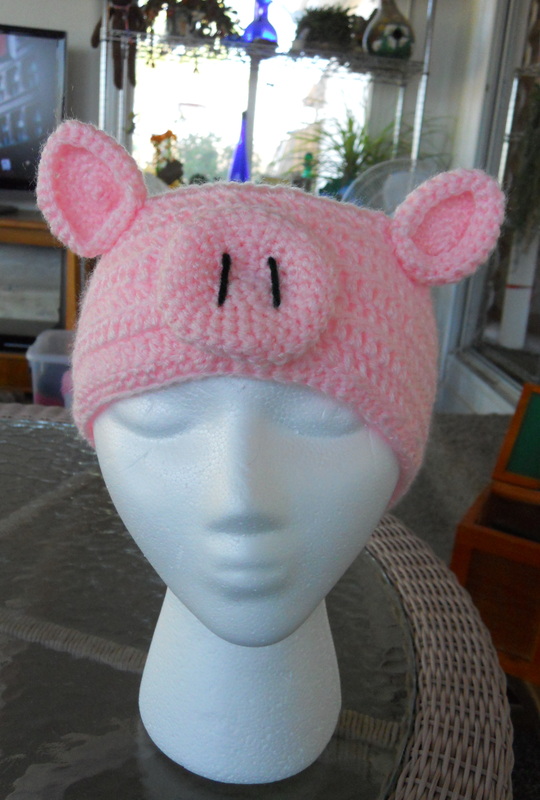 I tried a couple of time and things did not turn out straight, and hats had big holes in it. I did not have the patience or focus to do it. 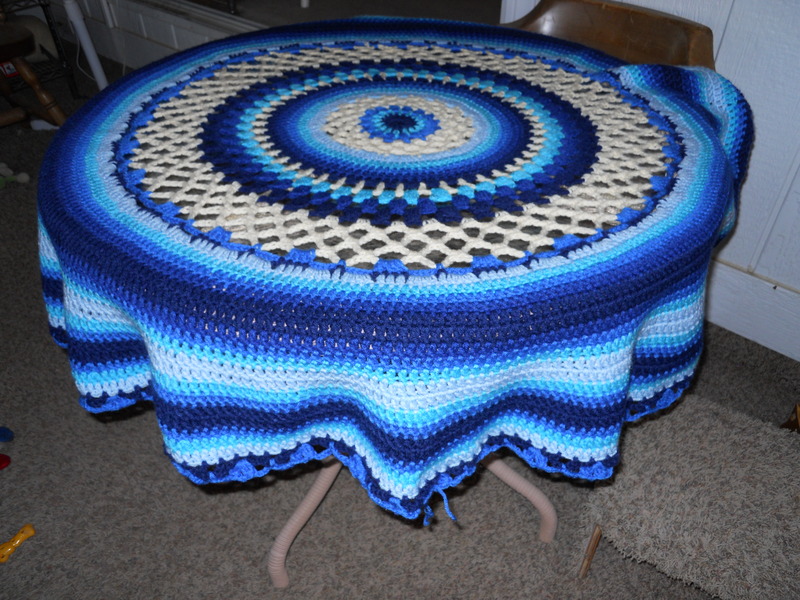 One time while I was sick I made a blanket, it was boring and drove me nuts, and took forever. This new adventure started innocent enough. I had a friend from the dog club who lived about a mile from us. She had five cats and two dogs. I cat sat for her once (I don’t do cats) and she ended up giving me a whole bunch of yarn. Years later she moved to Texas and she gave me a bunch more yarn. Now I had a whole huge tub of yarn. I decided I had to give crocheting another try and although it took a really long time I made a nice blanket, then another, and another, then three more. I thought I would never get through all that yarn. It seemed I had a never ending supply of yarn. I even wonderer if the supply multiplied at night. 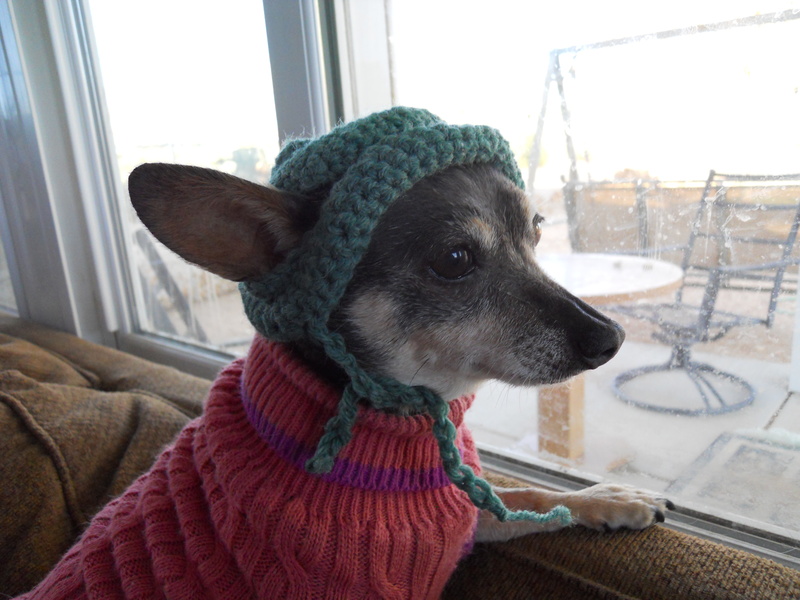 This was about Thanksgiving last year and it was freezing in the high desert. I belong to a local news group on Facebook and they were collecting stuff for our local homeless, warm blankets, coats, anything to keep them warm. They hit a cord with me when they mentioned how many of our homeless are veterans. I decided to make hats for the homeless. 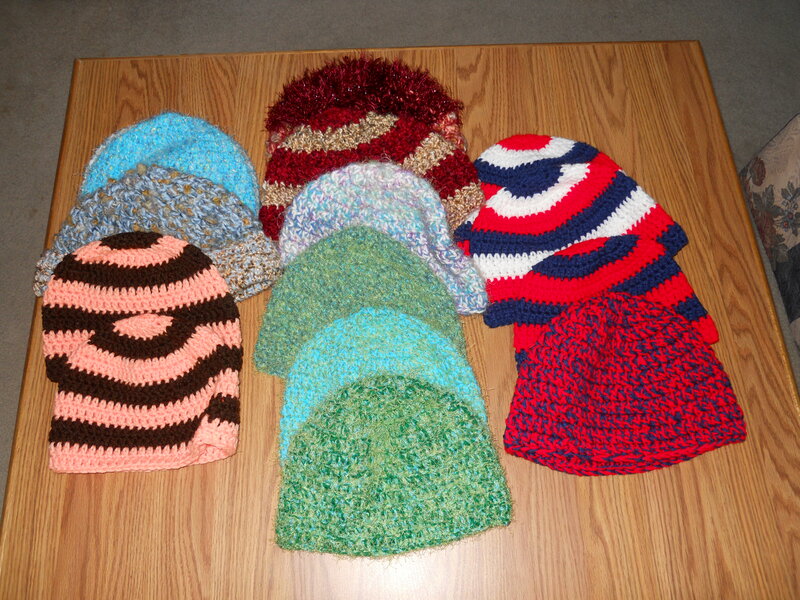 Between Thanksgiving of 2014, until after the first of the year I made and donated close to 80 hats. I really became good at it but I still had the stigma of all my family doing it, thing, but I decided I would check for some patterns. Then it happened! My cousin, Susan told me about Pinterest. 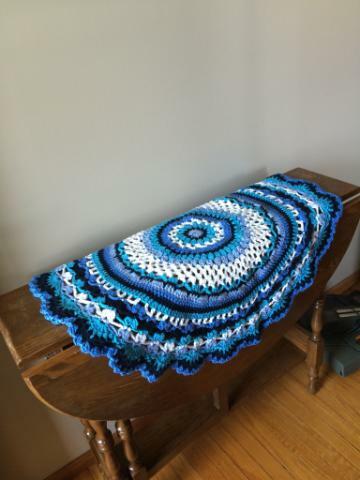 I cannot believe how many free patterns there are out there and I am now thankful. 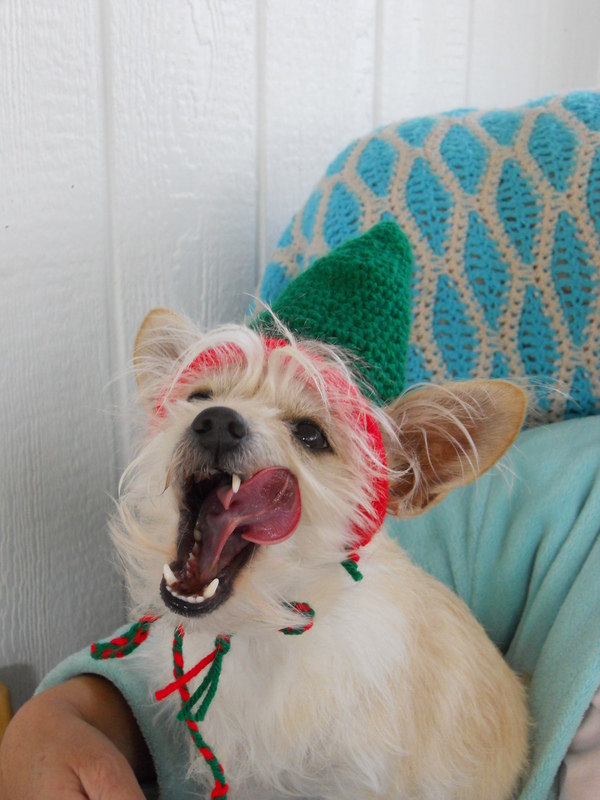 I found a really nice lady, Zelna Olivier and her blog “Zooty Owls Crafty Blog.”. 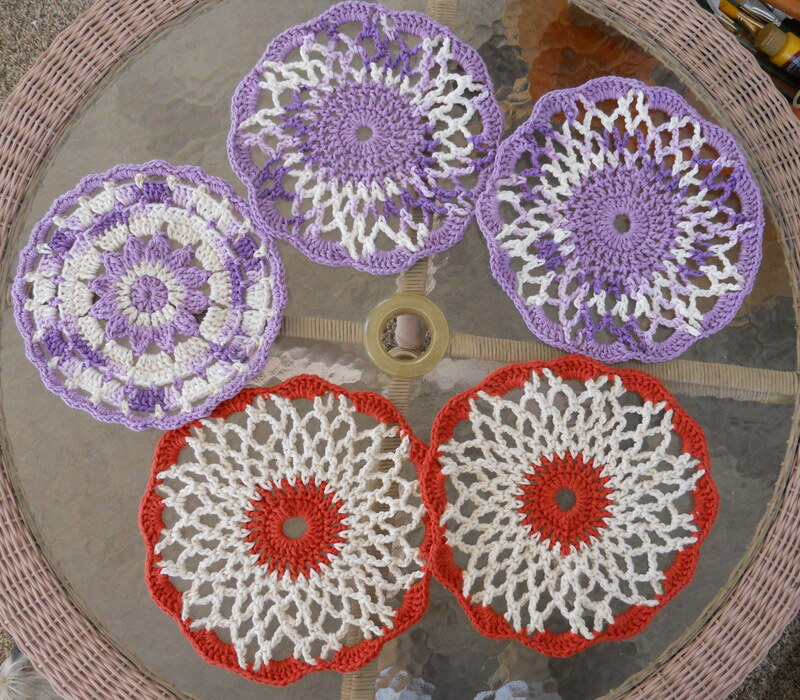 Zelna changed the way I looked at crocheting. She creates pieces of art, in beautiful, amazing colors and that is how I can justify it. 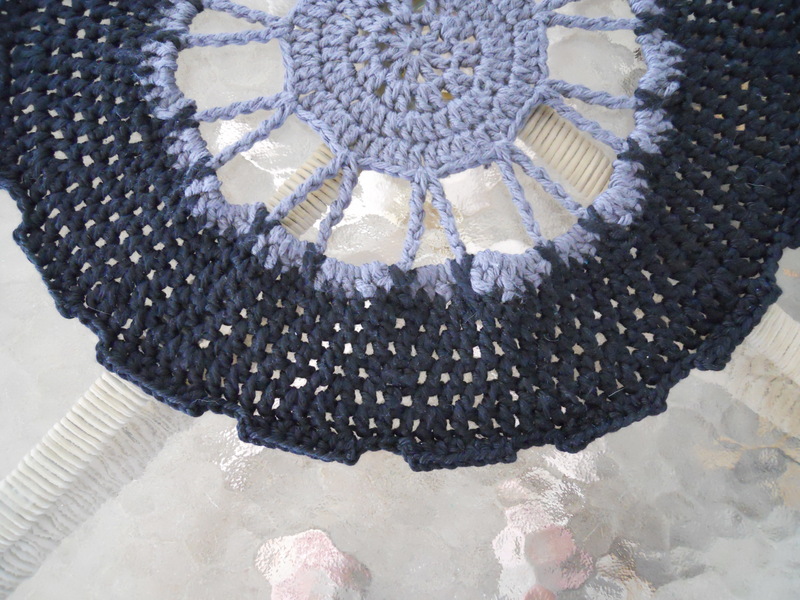 I am not crocheting I am creating works of art. 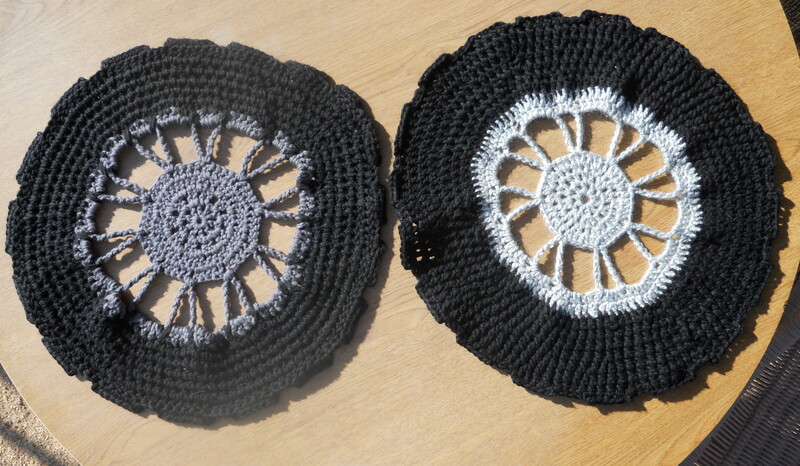 They kind of look like doilies but I call them Mandela’s I have opened a shop on Etsy, called “Hot off the Hook 4U.” What I love about Etsy is their Custom Order feature. With each and every Special/Custom order I get to create an item just for you. If you want you can be a part of every step of the creating from choosing the yarn colors, to the pattern as it goes along. They provide a place for us to personal message each other and I can update you with pictures. I love this! I can create and get your feedback on the thing that IS hardest for me, choosing colors and patterns. I can take any pattern and custom make it just for you. 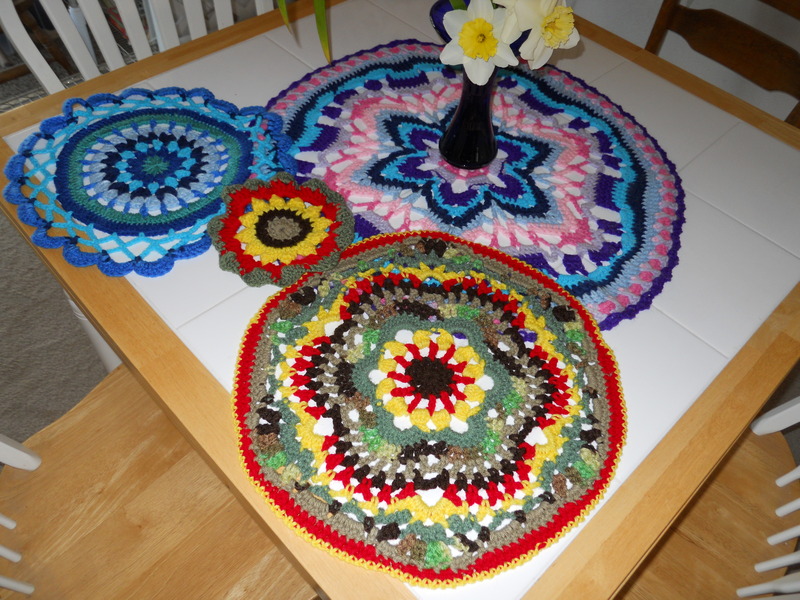 I have been lucky enough to have created two tablecloths this way. We took the basic pattern and worked it until we got it the right size. It was such a fun experience. I loved it. One of my friends contacted me and he wanted a table topper for his man cave. At first I thought he was crazy! 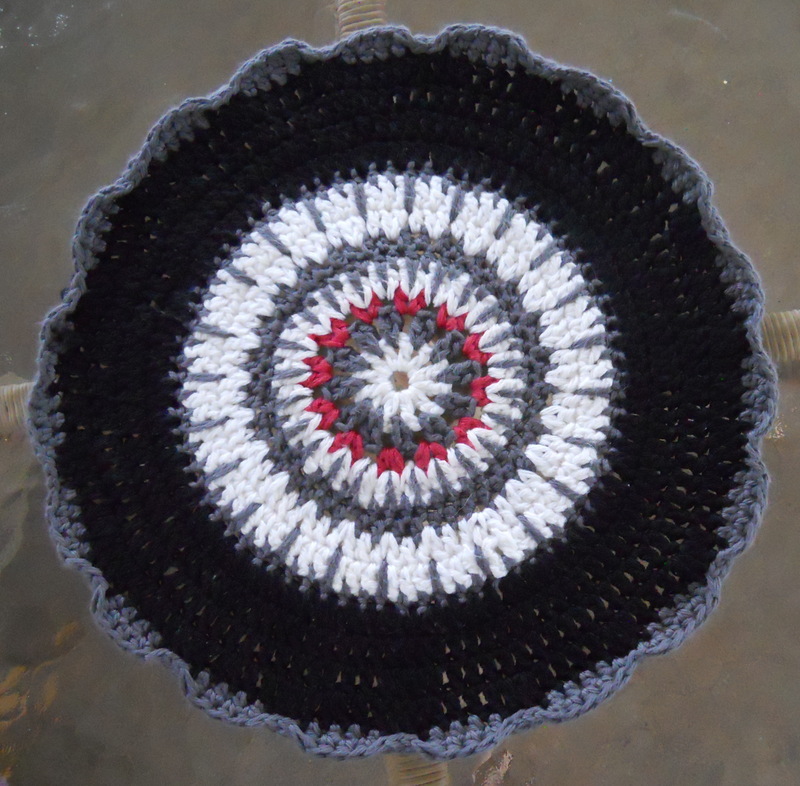 I crochet, how am I going to make something that would fit in a man cave décor? He wanted me to try to make something that looked like a tire. We collaborated and came up with this! He loves it and there is no way my family ever made anything like this! I mean they did not have man caves in the old days. 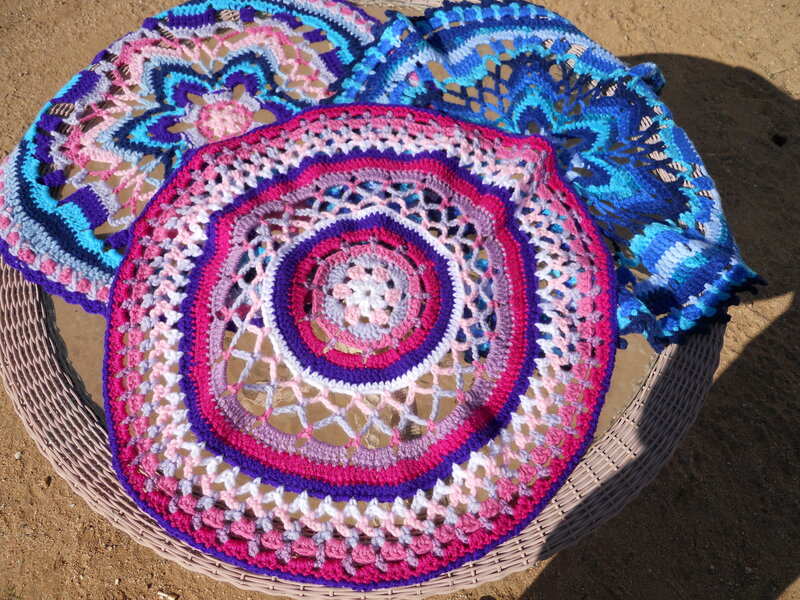 There is no way you can call that a doily! My plan is when the weather gets cold I will take all the odds and ends and once again give back by making more hats for our homeless. Who knows maybe other local people will want to get together and chat while we all make them. I can even teach you! That would be fun! Good for you for taking a break. Well deserved. BUt, not sure it was really a break with all of the items you have been producing! I know, right? Who knew??? Glad to you back on WP and expressing yourself in creative ways. I did wonder, and hoped you were alright. I’m so glad you’re obviously doing well, or your creativity wouldn’t be brimming over. Didn’t your cousin warn you that Pinterest is addictive? 🙂 Nice work, Nancy! Nice to meet you Nancy and thank for stopping by my blog. I don’t do much anymore but I do answer comments. I too wanted to be named something else going so far as to change the spelling of my name to Nancee. lol I wanted to be name flower or Moon. That may tell you when I grew up. I went back to Nancy once I learned I was probably named for Nancy, France where Dad had served so long ago. I decided to keep it. I spend my days now crocheting. I use to be very active but Fibromylgia took that away from me. 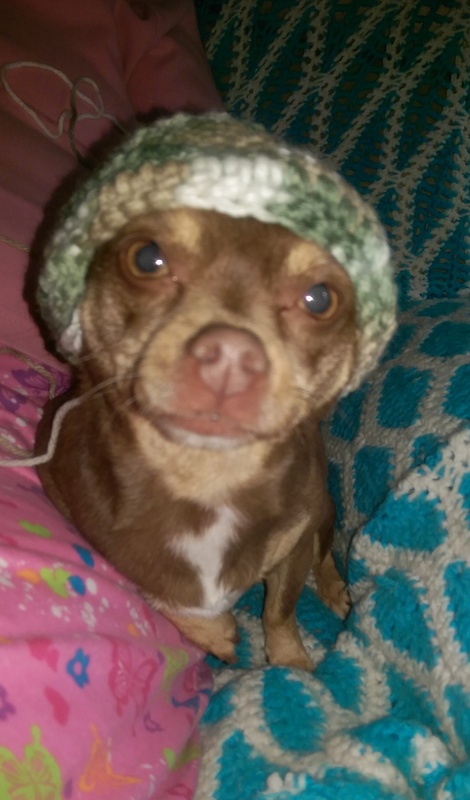 I never thought I would be the one who crocheted let alone be good at it! lol Stop by anytime I am always up for chatting.